Loot stolen by a burglar who escaped after being chased by police officers was found scattered across the Fylde coast. 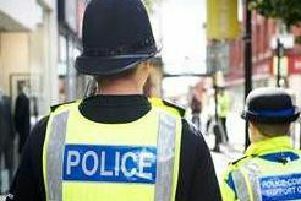 The thief had been disturbed by a barking dog while raiding a home in Roylen Avenue, Poulton, between 2.15 and 2.30am on Saturday. It has now been revealed he got away with an Xbox, iPad, iPhone, and a hangbag containing keys and bank cards. A spokeswoman for Lancashire Police said the handbag was found nearby, and had the Xbox, iPad, and keys inside. “An iPhone was later found at around noon on Saturday by a member of the public in the garden of a property in Warren Drive, Cleveleys,” he said. “After being handed in at Bispham Police Station, it was confirmed as belonging to the victim. No description of the suspect was released. Information can be reported by calling 101 quoting WD1601831.